The United States Coast Guard fired four warning shots at a Mexican fishing vessel last Friday as it tried to flee from the maritime law enforcement agency. Federal prosecutors charged the vessel’s captain, Jose Luis Lauranchet, with knowingly disobeying an order by federal law enforcement officers by forcible resisting a boarding or other law enforcement actions, court records show. 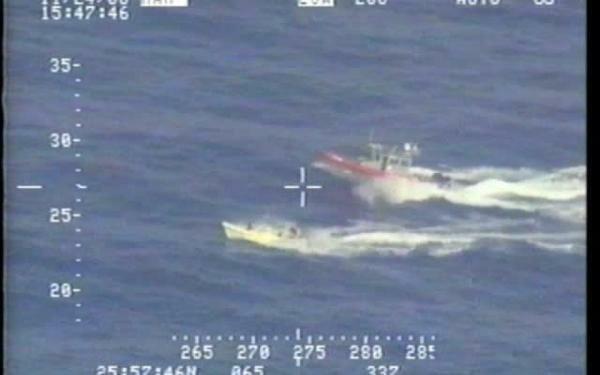 Lauranchet, who made a first appearance in federal court Monday, is accused of fleeing from the USCG after it spotted the lancha he captained with lights out traveling south 27 miles offshore and 33 miles north of the international maritime boundary, according to the criminal complaint. The USCG sent a small boat to intercept the vessel using sirens and lights to stop it, but Lauranchet continued piloting the lancha south, court records indicate. During the pursuit, the USCG said in the complaint that it received permission to fire warning shots consisting of a shotgun-fired, flare-like projectile that produced a bright flash and loud bang, which resulted in Lauranchet stopping the boat, according to the complaint. Court records show that USCG arrested Lauranchet and two crew members. Lauranchet, who is from Playa Bagdad, Mexico, is being held without bond pending a probable cause and detention hearing on Thursday in front of U.S. Magistrate Judge Ignacio Torteya III.